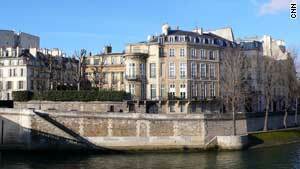 Prince Hamad bin Abdullah Al-Thani, the brother of the Emir of Qatar, bought Hôtel Lambert in 2007. It's a 17th century Parisian mansion sitting on the banks of Seine where some of the most prominent people, including French philosopher Voltaire, stayed over the years. In 2007, Hotel Lambert was bought by Prince Hamad bin Abdullah Al-Thani, the brother of the Emir of Qatar. The Prince commissioned French architects to restore and modernize the building, but conservationists are blocking the Prince's plans. MME goes to Paris to take a closer look. With its wealth of natural gas supplies, extensive plan for diversification and steady growth rate, Qatar has been flexing its economic muscle in the region. But, like the rest of the world, it hasn't been completely immune to the global financial crisis. This week MME addresses these issues to the former Economy and Commerce Minister, Sheikh Mohamed Ahmed Jassim Al Thani.